A classic combination of honey and mustard never goes amiss. We love the way these flavours caramelise in the oven, giving a crisp, saucy finish. 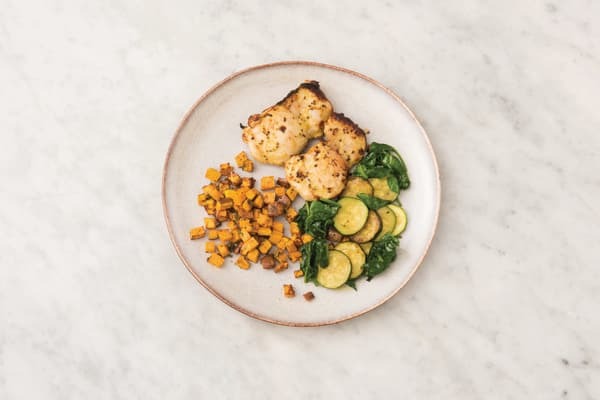 We’ve used chicken thigh here because it packs a fantastic flavour, remains moist as it cooks and fuses with the bed of pan-fried and roasted veggies. Preheat the oven to 220°C/200°C fan-forced. Cut the sweet potato (unpeeled) into 1cm chunks. TIP: Cut the sweet potato to the correct size so it cooks in the allocated time. Pick and finely chop the rosemary leaves. 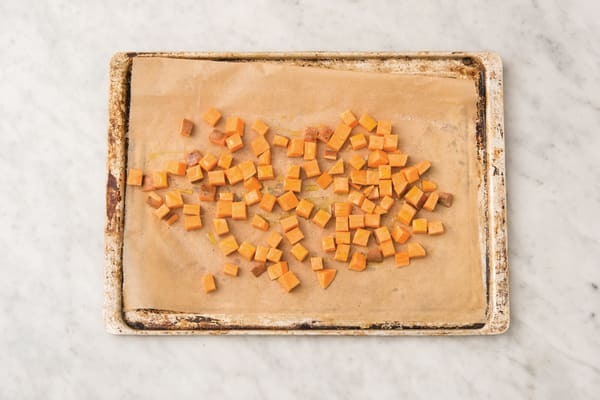 Place the sweet potato, rosemary, a drizzle of olive oil and a good pinch of salt and pepper on an oven tray lined with baking paper. Toss to coat, then bake for 20-25 minutes, or until tender. 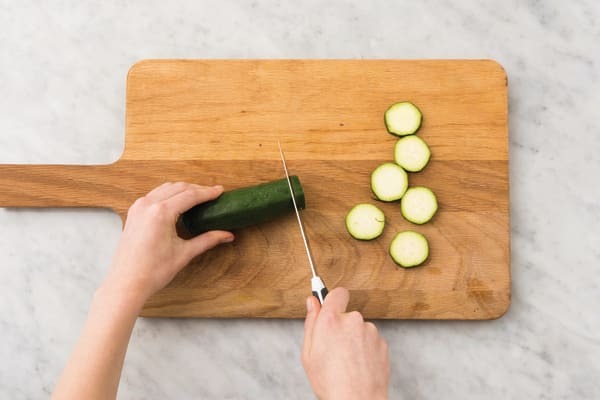 Slice the zucchini into 0.5cm rounds. Heat a medium frying pan over a medium-high heat. Add the chicken thigh and cook, brushing with the remaining marinade, for 2 minutes on each side, until golden and sticky. Transfer to a second oven tray lined with baking paper and pour over any remaining marinade from the pan. Bake for 7-11 minutes, or until cooked through. 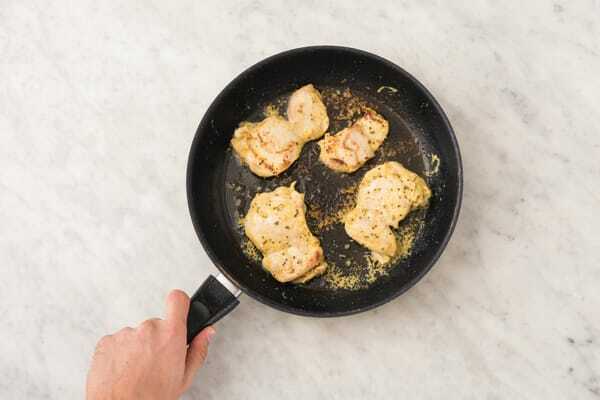 TIP: The chicken is cooked through when it is no longer pink in the middle. While the chicken is baking, wipe out the frying pan. Return the pan to a medium-high heat with the butter and a dash of olive oil. Add the zucchini and remaining garlic and cook for 2-3 minutes, or until softened and fragrant. 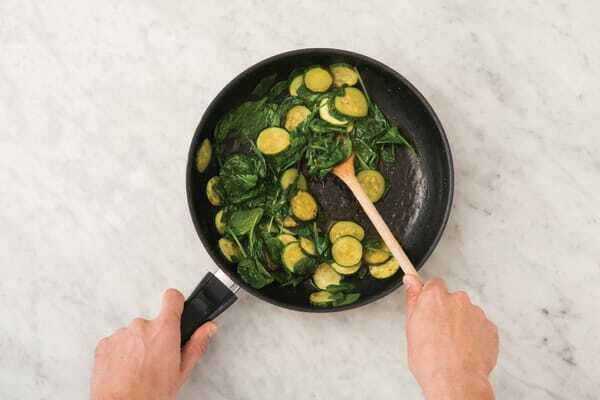 Add the baby spinach leaves and cook, stirring, for 1-2 minutes or until just wilted. Season with a pinch of salt and pepper. 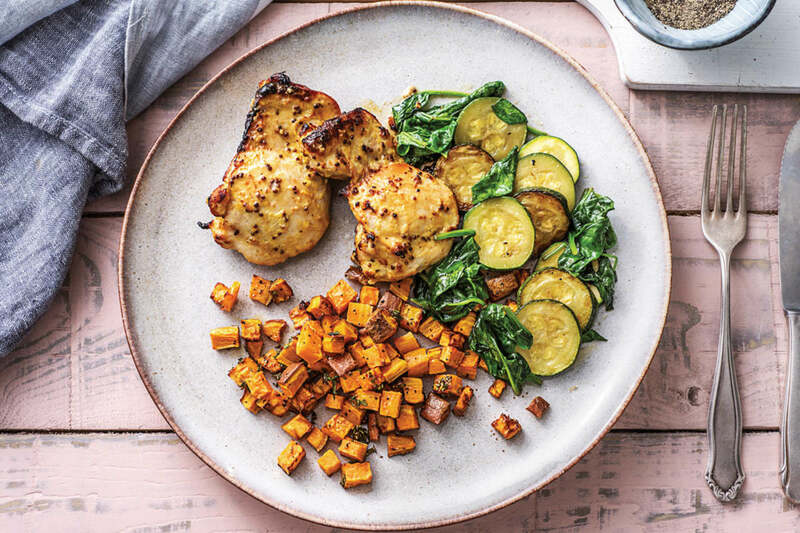 Divide the mustard chicken, rosemary sweet potato and the greens between plates. 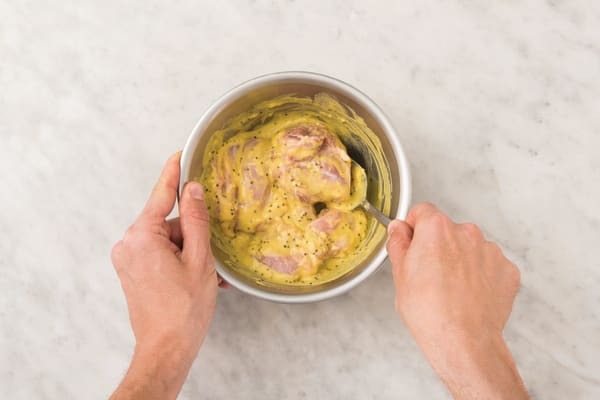 Drizzle with any excess mustard sauce from the tray.